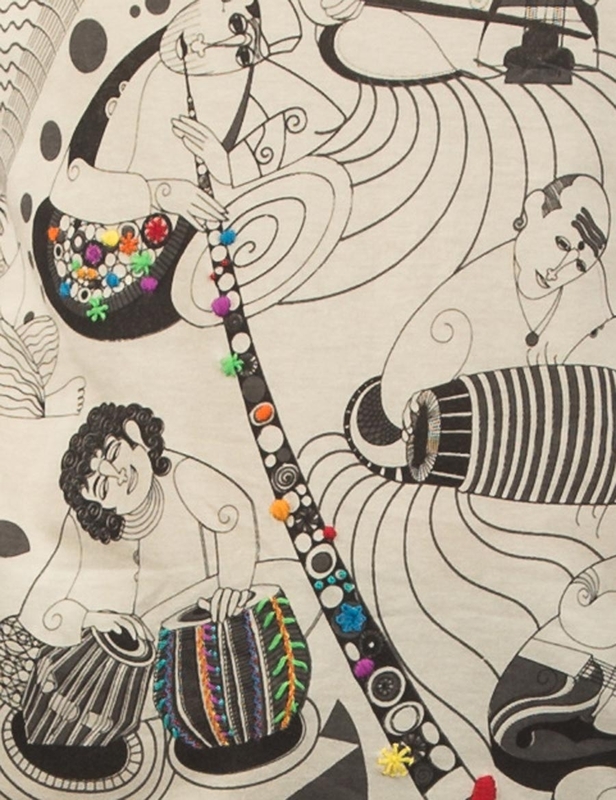 Sing Sa Re Ga Ma with the great music makers from your country and learn about the unusal indian musical instruments they play. 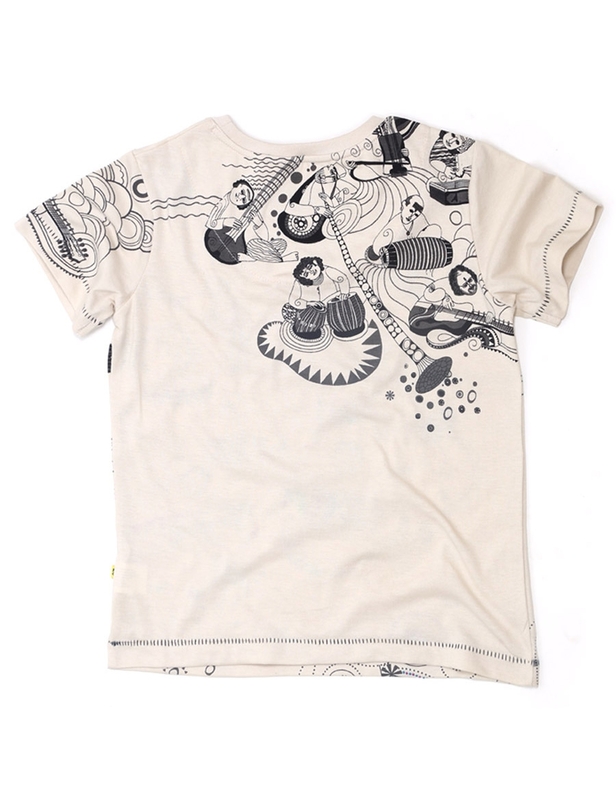 Let the kids sport the colours & quirks of India on their sleeve! Perfect as gifts for budding Indophiles. 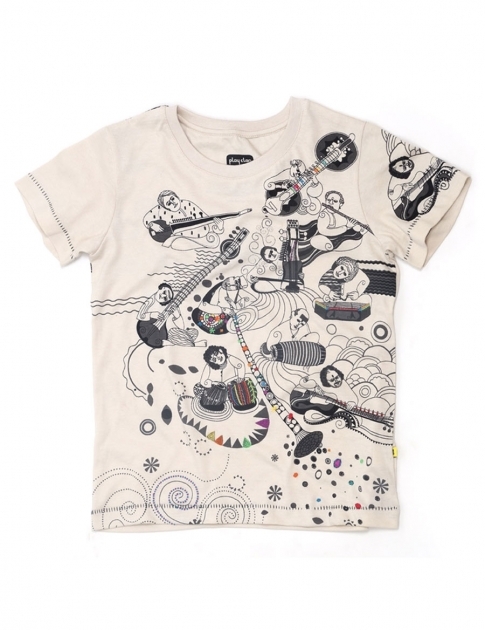 Kid's graphic printed short sleeve T-Shirt with delicate embellishment.